Electric Oven / Cooker Repair - Washercare Ltd.
We repair electric ovens & electric cookers across Derbyshire and Nottinghamshire, in your home. We repair both free-standing and built-in machines. Washercare Ltd. has been repairing electric ovens & electric cookers across Derbyshire and Nottinghamshire since 1985. We have 1000's of spares waiting to be fitted by our expert engineers. "Our oven failed to heat up on Xmas Eve just as we were expecting family to stay over Xmas. We called Washercare Ltd and within an hour someone had arrived. They were friendly, polite, efficient, clean and charged a very fair price. Excellent service. Highly recommended." "I telephoned Washercare at 8.45am. I was given an approximate cost and told someone would be out between 9.00 and 1.00. They arrived at 11.30, replaced the element in the fan oven, told me the top oven was working properly (I'd thought that had 'gone' a year ago) but the colour of the element could signify an underlying problem. If that's the case there will be no 2nd labour charge. A really friendly, efficient service and the total cost was £89 which I thought was extremely good value. I've already passed their number on to a friend!" 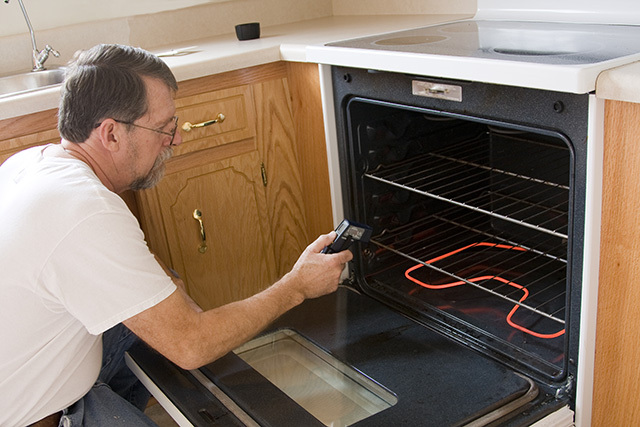 "Oven stopped working, Washercare has no call-out charge and arrived within 24 hours of my call to their office. Very helpful. I will definitely contact them again if/when needed." The quotes above were left by our customers on the Derbyshire Trusted Trader website.